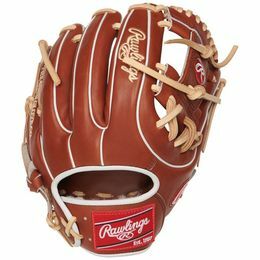 This Pro Preferred 11 1/2” baseball glove features a 31 pattern which means the hand opening has a more narrow fit and the heel is made with thinner padding which makes it easier to close. This pattern is designed to open wider offering a wider pocket when catching and scooping the ball, which makes for a great infielder pattern. Utilizing the best patterns from the best pro players, Pro Preferred™ gloves feature impeccable kip skin leather that breaks in to specific playing preferences, forming the perfect pocket. The high-performance sheepskin lining wicks moisture away, keeping the hand dry for better control when players need it most.